Got your plane ticket locked in and your suitcase ready to go? Read on for a few basic Watervliet tips before you jet off. 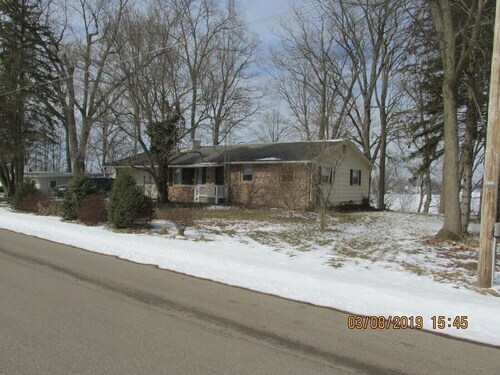 You'll find this Benton Harbor neighborhood 11 miles (18 kilometers) northeast of the city center. There are 10,000 locals that call Benton Harbor home. 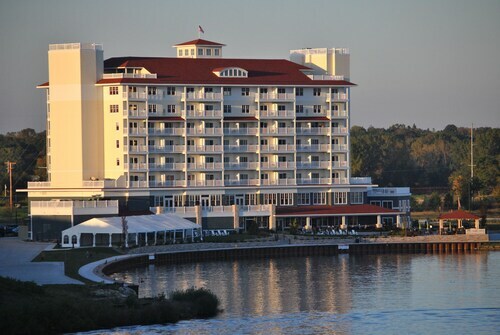 Get undeniably good savings on Travelocity's Watervliet fight and accommodation bundles. You'll also have plenty to pick from with no less than 400 airlines and 665,000 places to stay. After a panic-free experience? Our Customer 1st Guarantee provides 24/7 personal assistance on all services. Have you seen a better deal somewhere else? We'll meet the price and refund the difference^. All travel packages can be easily rescheduled with no nasty fees from our end. And as long as you get in fast, many accommodations won't charge you either^. Where do you fly into for Watervliet? Airfares booked for South Bend International Airport (SBN)? Walk through security, walk out of the terminal and you'll be 35 miles (56 kilometers) to the south from the heart of Watervliet. Can I rent a car in Watervliet? Wander the streets in Watervliet and experience the distinct culture. If you intend to travel further out, securing a rental car via Travelocity is a great choice. Fine wine lovers should seize the opportunity to treat themselves to some distinctive blends and warmhearted hospitality at Karma Vista Vineyards and Winery. And that's not all. Remember to pack your swimwear! No matter if you’re into adrenaline-charged rides, floating down lazy rivers or splashing in paddling pools, Surfari Joe's Indoor Wilderness Water Park is a wonderful day out for all ages. Benton Heights is an interesting place to visit while you are in Watervliet. You'll find it around 9 miles (14 kilometers) away. 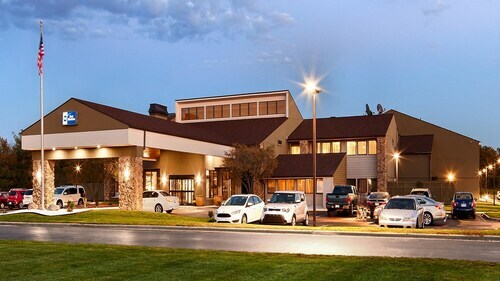 Located in Watervliet, this family-friendly hotel is 2.4 mi (3.9 km) from Karma Vista Vineyards and Winery, and within 9 mi (15 km) of Sarett Nature Center and Contessa Wine Cellars. Harbor Shores Golf Club and Lake Michigan College are also within 12 mi (20 km). Located in Watervliet, this family-friendly vacation home is 3.4 mi (5.5 km) from Karma Vista Vineyards and Winery, and within 12 mi (20 km) of Sarett Nature Center and Contessa Wine Cellars. Lake Michigan College and South Haven Center for the Arts are also within 16 mi (25 km). 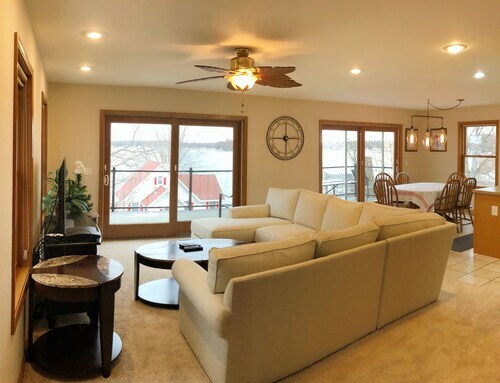 Situated on a lake, this vacation home is 4.2 mi (6.7 km) from Karma Vista Vineyards and Winery and within 12 mi (20 km) of Contessa Wine Cellars and Sarett Nature Center. Van Buren State Park and South Haven Center for the Arts are also within 16 mi (25 km). Paw Paw Lake ! Tree House View! Situated in Watervliet, this vacation home is close to Karma Vista Vineyards and Winery. Area attractions also include Contessa Wine Cellars. 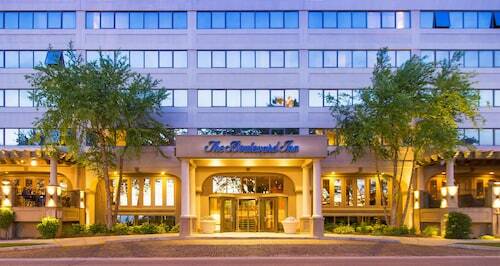 Situated on the riverwalk, this spa hotel is within 1 mi (2 km) of Box Factory for the Arts and Silver Beach. Harbor Shores Golf Club and Lakeland Regional Medical Center are also within 3 mi (5 km). St. Joseph-Benton Harbor Station is 18 minutes by foot. 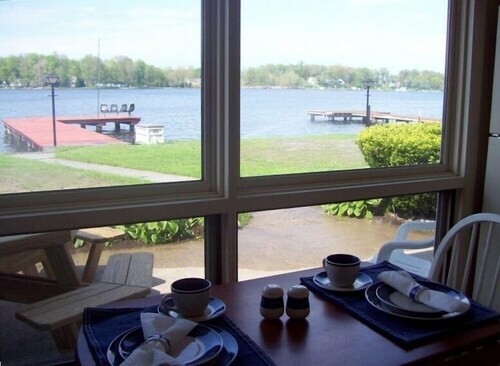 Situated in Benton Harbor, this hotel is 2.9 mi (4.7 km) from Lake Michigan College and within 6 mi (10 km) of Silver Beach and Lakeland Regional Medical Center. Harbor Shores Golf Club and Box Factory for the Arts are also within 6 mi (10 km). Located in the heart of Saint Joseph, this hotel is within 1 mi (2 km) of Box Factory for the Arts and Silver Beach. Lakeland Regional Medical Center and Harbor Shores Golf Club are also within 3 mi (5 km). St. Joseph-Benton Harbor Station is only a 3-minute walk. 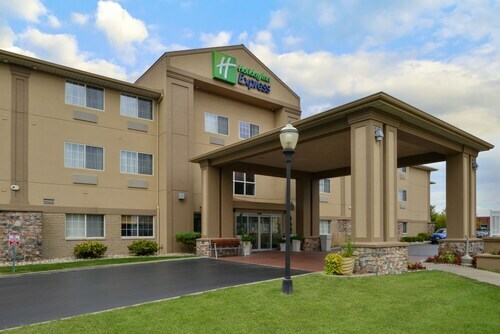 Situated in Saint Joseph, this hotel is within 6 mi (10 km) of Lakeland Regional Medical Center, Silver Beach, and Box Factory for the Arts. Harbor Shores Golf Club and Weko Park are also within 12 mi (20 km).